We are dedicated to providing customized solutions based on our customers’ needs. First and foremost, we listen. Then, we conduct a complete analysis of your work environment. Ultimately, we make recommendations and suggestions to improve efficiency, cut costs or both. Tired of losing money due to downtime and surprise IT costs? At risk of being taken down by a cyber attack? Sick of dealing with multiple technology vendors? Ready to manage solutions and stop reacting to problems? 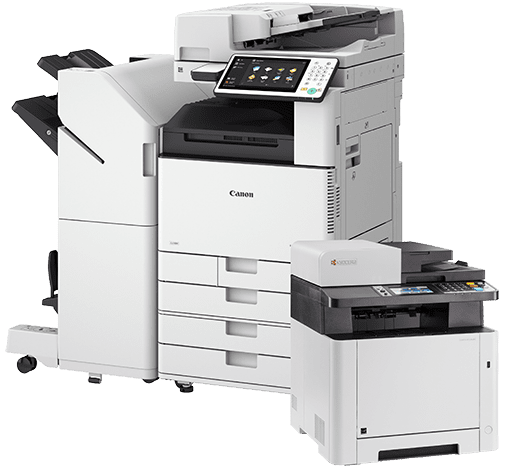 Commonwealth Technology is one of the region’s largest dealers of office equipment, document management solutions, managed print services, production printing equipment, and managed network services. We have over 100 committed employees serving our customers from our corporate office in Lexington and satellite locations throughout Kentucky, Indiana and West Virginia. Commonwealth Technology believes in working hard for our customers and treating people with complete respect. One of Commonwealth Technology’s objectives when we were founded was to give back to the community by donating to charities and educational programs in areas that we do business. We have taken an active role in supporting these organizations, and over the years donated hundreds of thousands of dollars to charities and organizations. At Commonwealth Technology we love to give back. 1263 E New Circle Rd.